Eye Treatments for Puffy Eyes. There are plenty of ways to deal with puffy eyes and you'll have to try a few before deciding which one works best. Discover the best eye treatments for puffy eyes from homemade masks and eye patches to cucumber eye pads and other popular products. Using cold to reduce puffy eyes is a common method of treatment, whether it's refrigerated spoons or simply cold water. But to change the aspect of your eyes faster and get rid of the bags, you'll need stronger remedies. Placing cold slices of cucumber on your eyes is an old trick, but there are plenty of other eye patches or treatments for puffy eyes. Used tea bags, whether it's green tea, black tea or caffeinated teas, can fight puffy eyes when placed on your eyelids for around 10 minutes. The most popular homemade eye mask for puffy eyes is the egg white one. A beaten egg the is placed on the bags under your eyes and only washed away after it's dried (usually no more than 15 minutes). Cottage cheese and potato slices are other eye patches for puffy eyes, but when you want the best homemade eye mask, you can also use coconut oil, almond oil or tomato juice (with a touch of flour). 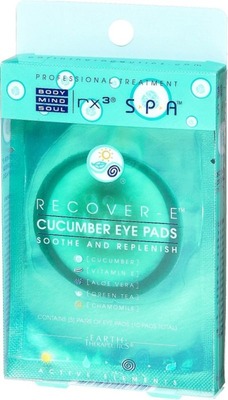 Some of the best eye treatments for puffy eyes are cucumber eye pads. They include more than just the healing power of cucumbers for an even stronger effect. 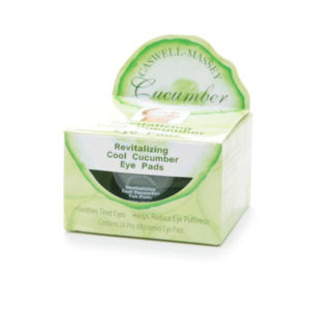 Caswell-Massey Revitalizing Cool Cucumber Eye Pads are some of the most well reviewed and recommended products. Using natural extracts of chamomile, aloe vera, and green tea, these eye pads reduce both puffiness and dark circles. The Recover-E Cucumber Eye Pads are another excellent treatment for puffy eyes and ingredients also include Vitamin E, helpful in relieving puffiness. When you don't have time for eye pads, the right choice are creams and serums that fight puffy eyes on the go. 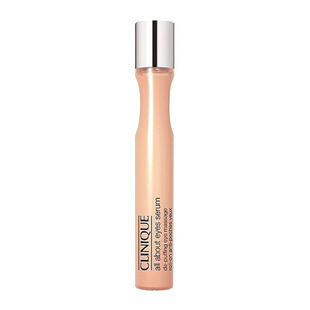 Clinique All About Eyes Serum, the de-puffing eye massage roller, is the portable solution that offers relief with a single swipe. 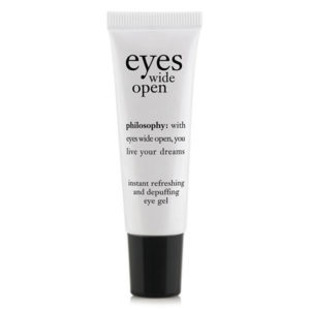 Philosophy Eyes Wide Open Eye Gel is one of the best treatments for puffy eyes with an instant vitalizing effect that reduces the appearance of bags and dark circles. Dr. Sebagh For Your Eyes Only Puffy Eyes Cream contains strong enzymes which break down excess fat deposits that contribute to puffy eyes and also shrink capillaries responsible for dark circles under your eyes.